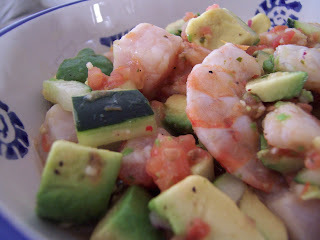 I adore ceviche and have eaten a vast variety. Made with scallops, shrimp, halibut, squid or any other random bit of seafood (or any combination thereof), I still love it. I've tried it saucy, dry, spicy, bland, with lots of vegetables and without - but I have never made it myself. So, thanks to the brilliant idea from Kelley, she and I made our first batch. 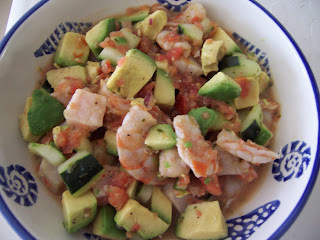 We used the wild-caught Gulf of Mexico shrimp we adore and tilapia, coupled with an avocado and cucumber in a spicy lime-salsa juice. Delicious with tortilla chips! Mix juice of lemons and limes with seafood and salt and let stand at room temperature until the fish begins to "cook", about 5-10 minutes. Mix in salsa, let stand another few minutes. If the shrimp is pink and the fish becomes opaque, you are on your way. Add vegetables, salt to taste and either serve or let stand in the refrigerator for up to an hour. The traditional way to "cook" the seafood in ceviche is with the acid from the lemons and limes, but if you are serving this to anyone with a weakened immune system or small children, or you are just cautious, blanch seafood quickly in boiling water before proceeding to ensure the seafood is cooked. Don't overcook or the seafood ceviche will taste like little bits of seafood flavored rubber. Yeah, I can never make the traditional type since I have a compromised immune syste. My husband loves ceviche, so I made it for him for the first time about a month ago. I was surprised at how easy it was! Yours look so colorful and fresh. I'll have to try it next! Hi Susan! Thanks for stopping by and sharing your ceviche for beginners story. Funny re: fresh, the weather heats up a teensy bit and the sun shines and I am already making ceviche and margaritas. I LOVE warm weather! Kirsten, our ceviche was so good! 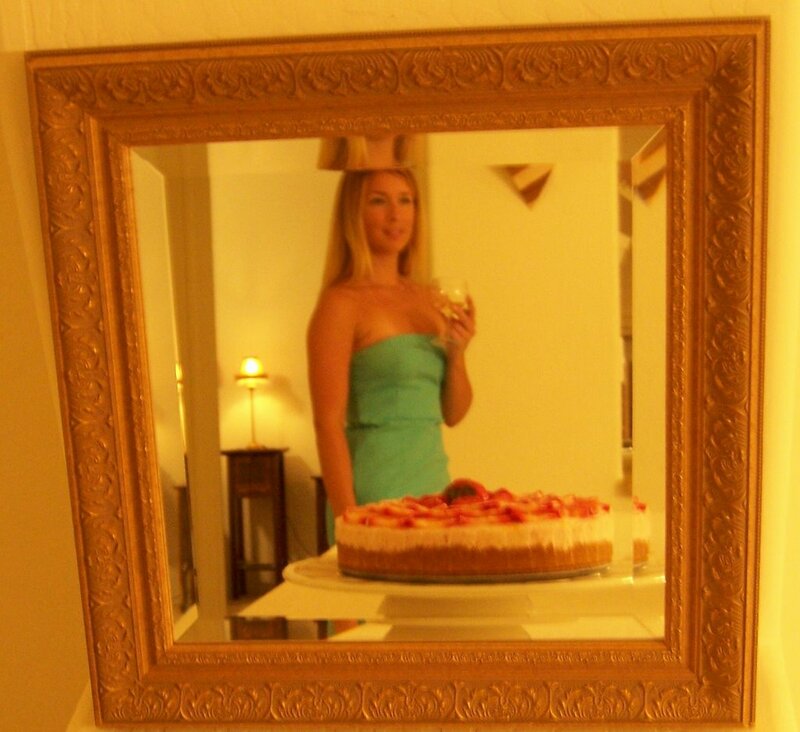 I took some home to share with the husband but selfishly decided to devour it all myself. Go figure! I made it again two nights ago with just shrimp (it's the perfect summer appetizer) and although it was delicious, it wasn't nearly as pretty as yours! So our latest addiction is sushi and sashimi.. and now that neither of us are afraid of eating raw seafood (as long as it's super fresh) I'd like to try a ceviche. I know the acid helps to cook the fish somewhat, but I can't imagine it cooks it thoroughly, right? Yours looks beautiful and sounds so yummy! Made this and it was amazing. Thanks! Yes, the lime does actually cook it.